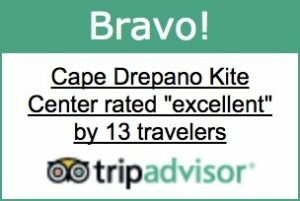 Board and Kite repair shop - Cape Drepano Kitespot | Kiteboard in Greece. Kite lessons. Achaea, Western Greece. We know your vacation time is VERY precious time. Our in-house board and kite repair service guarantees that you will not miss a day on the water because we will do everything we can to repair your gear the same day… we know how much it hurts not to be on the water on a windy day ? Our repair team are themselves watermen for more than 15 years. That means we know how important it is to properly and professionally repair your kitesurf gear. We provide you with a complete service for repairing kites, windsurfs, kite boards as well as windsurfing boards, and even fins! Fast and personal service, guaranteed repairs, zero loss of performance, and not to mention that we always use the appropriate tools for the job. 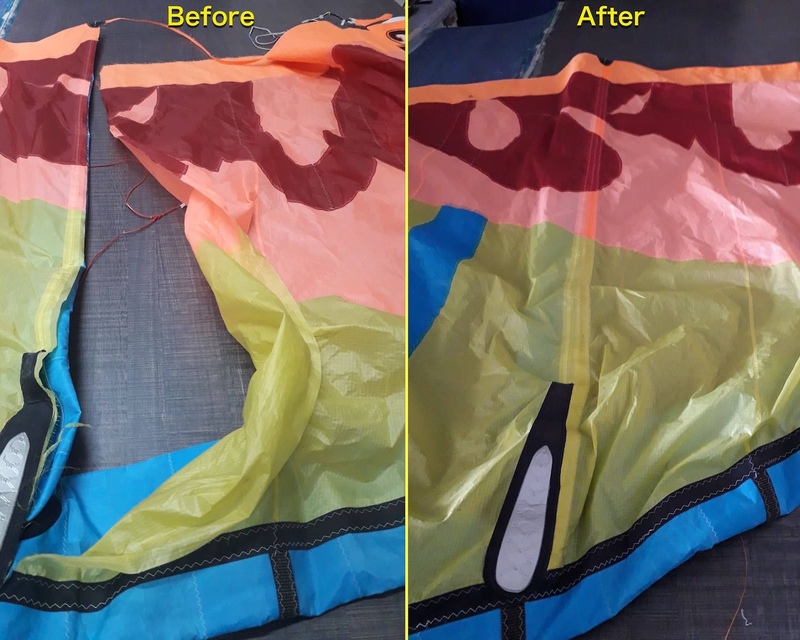 Our team of repair specialists always try to match the colour of the repair with that of your kite so the repairs are less visible! Ripped kites, bust bladders, windsurf rails, cracked or dented boards, or any other small or large repair that you may need…we’ve got you covered!